Pittsburgh, PA (March 28, 2017) – Manju Banerjee, Ph.D., of Putney VT, was elected to a three-year term on the Professional Advisory Board of the Learning Disabilities Association of America (LDA). 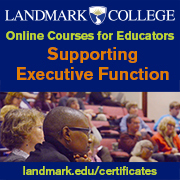 Dr. Banerjee is Vice President of Educational Research and Innovation at Landmark College in Putney, VT. A certified diagnostician and teacher-consultant on learning disabilities, Banerjee has over 30 years of experience in the field of learning disabilities, ADHD, and postsecondary disability services. Dr. Banerjee received her doctoral degree from the Neag School of Education, University of Connecticut, on the application of Universal Design to High Stakes Testing. Dr. Banerjee has published and presented extensively, both nationally and internationally, on topics such as: disability documentation and accommodations, technological competencies for postsecondary transition, online learning, and universal design. She has been and is currently principal investigator/co-principal investigator on multiple federal, foundation, and NSF grants. She is an editorial board member of the Journal of Postsecondary Education and Disability and of Learning Disabilities: A Multidisciplinary Journal. She serves on the Professional Advisory Board (PAB) of the National Center for Learning Disabilities (NCLD), and has been a PAB member on the Learning Disability Association of America (LDA) for the past three years. She is a consultant to Educational Testing Service (ETS) and Understood.org. 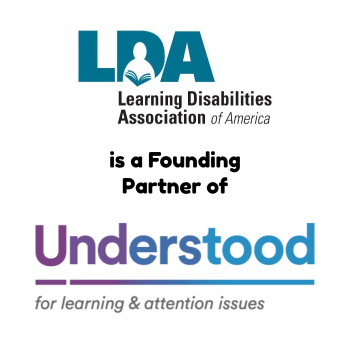 The Learning Disabilities Association (LDA) is a non-profit organization of parents, professionals and adults with learning disabilities providing support, information, and advocacy on behalf of individuals with learning disabilities. 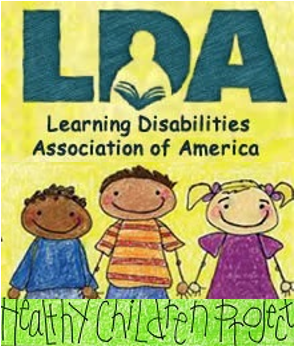 For further information go to www.ldaamerica.org.